My first semester at GW – 8,000 miles away from my home in India – was a challenging experience. From daily social interactions and missing family, to small things like getting accustomed to eating salad as a meal, the U.S. was foreign and unfamiliar in every sense. Navigating the American college experience and learning to integrate into American society after spending your whole life in a different country is a tough ask – especially on top of adjusting to academics at college. International students need a supportive community to survive the transition but at GW, it can be hard to come by. As an international student, I know it can feel especially disheartening to think that that my relationship with GW is transactional. The primary motivation to attract more international students is that they bring in revenue to the University. International students can only qualify for up to $10,000 in need-based scholarships, which is only possible if they have not received any other aid, and many end up paying sticker price. This is particularly appealing to GW, since the University is about 60 percent reliant on tuition. This isn’t to say that the University doesn’t care about what international students can bring to campus and to the classroom, but that isn’t the main reason for why GW wants to increase the number of international students admitted. International students know their value to the University, but often times they just feel they’re seen as a statistic. It’s easy for Americans to think of international students as a single group, even though GW has international students from more than 130 countries. The reality is that international students’ experiences are unique – even if they come from the same country – just as it would be for domestic students coming to GW from one state. To ensure that international students have a welcoming college environment, domestic students and professors should embrace the diverse experiences of international students by including their perspectives in classrooms. At the same time, international students can join non-multicultural student organizations to better immerse themselves in American culture. Apart from being a revenue source, international students are also seen as a check mark on a list of what makes a university more diverse. The University has tried to move away from the transactional relationship by implementing programs and initiatives – like increasing support services through the Career Center and programming through the International Services Office – to encourage and support international students. But despite efforts to increase diversity on campus and nationwide, colleges and American students still struggle to understand what it means to have a diverse student body and how to deal with it, including here at GW. University initiatives haven’t translated into an inclusive learning environment in classrooms or among students. Officials tend to focus on international students by themselves, instead of how to enable domestic students and professors to create an inclusive social and academic environment for them. In classes on international affairs or politics, some professors tend to teach from a Western perspective by focusing on implications to American foreign policy or national security. But the majority of international students don’t come from Western countries. This narrow view prevents students from understanding international issues from a global perspective. All professors teaching courses on international issues or global politics should include course material from non-Western sources and engage in classroom discussions that give space for international students to offer their perspective, especially when there are courses like comparative politics of the Middle East that deal with non-Western countries. At the same time, the responsibility to create an environment where international students can thrive doesn’t solely rest with GW offices and administrators. Domestic students are essential to helping international students assimilate into American society. I’ve consciously tried to get out of my comfort zone to befriend more Americans, who’ve helped me broaden my knowledge of American politics, pop culture and comedy shows. I was exposed to a whole new world of comedy from “Saturday Night Live” to “The Daily Show.” Talking and laughing about their latest videos was a way to bond with my American friends while giving me insight about current events in America. Domestic students can include more international students as part of organizations and their leadership. But domestic students must embrace their different experiences rather than holding their differences against them. International students can also better integrate into life at GW by going beyond multicultural organizations to join other student organizations that focus on their hobbies or causes that excite them. It’s important to have the support system that comes with having people from your same nationality or ethnicity who can understand your struggles and experiences. But only being a part of multicultural student organizations can leave international students siloed from many other American students. While I wasn’t involved in multicultural student organizations, I lived on the Mount Vernon Campus my freshman year and ended up interacting with mostly international students. But I also joined The Hatchet that year, and my experience here over the last three years has helped me become more involved at GW and helped me to interact more with American students. At the end of the day, international students themselves must take more effort to fully immerse themselves in American society and use all the resources and opportunities at their disposal. If there is a lack of resources, students shouldn’t hesitate to convey their genuine concerns, either through the Student Association or by directly approaching the administration. This is especially relevant during the current political time, when international student enrollment is declining and there are more stringent immigration policies that can potentially restrict career opportunities for international students. International students are a heterogenous group that aren’t just fulfilling a diversity quota. Everyone should recognize the diversity that exists within the international student community, and work to continue improving resources and services for international students. I know that I’d like to be valued for the perspectives and experiences that I bring. It’s time for the GW community to go a step further to meet the needs of international students. 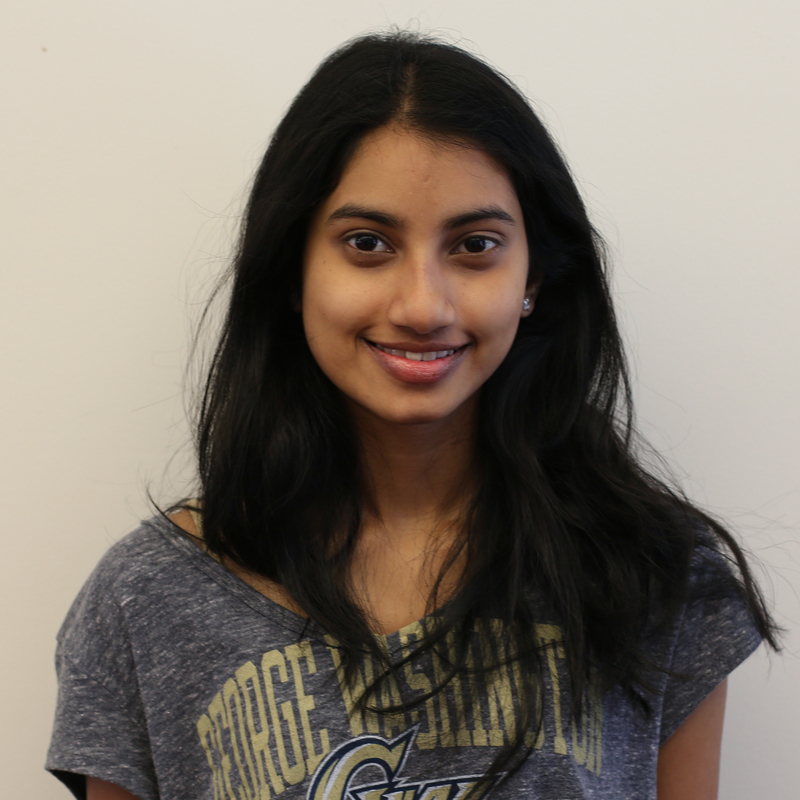 Shwetha Srinivasan, a senior double-majoring in international affairs and economics, is a Hatchet senior columnist.